The sun is finally peeking out from behind the clouds, and whenever that happens, we start to think of everything summer! Pretty patterns and bright colors always seem to come to mind when the warm weather hits. Whether you’re drawn to calming beach house decor or bright, bold accents, summer is the time you can finally have fun with colors, textures and mix-matching with 0% judgement. There is a special ease that comes with the summer months and that is why we embrace it to the fullest here at Inspire Q! 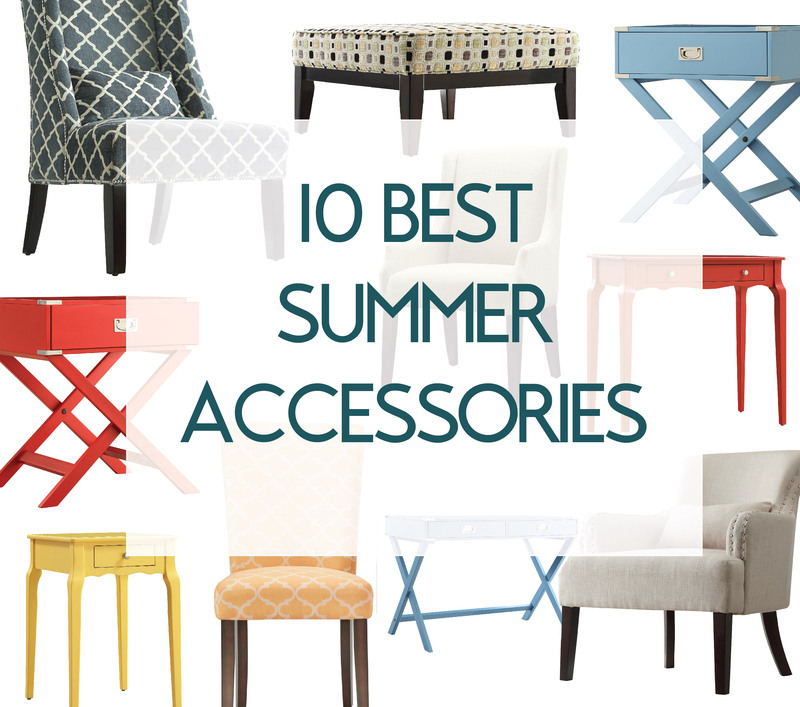 To celebrate our favorite season, we thought it would only be appropriate to share Inspire Q’s top 10 favorite summer-y accents sure to give your home a little seasonal excitement! Blue may not scream summer on its own, but when paired with a b­­­­­right pop of color like pretty pink flowers, it instantly creates a summer-time vibe. Though there are a variety of summer looks, blue creates a cool and inviting feel, making your room the perfect place to kick your feet up after a long, hot, day in the summer heat. By accessorizing our ever-popular Kenton Campaign Writing Desk with bright, trendy accessories that energize and inspire us, you are on the right track to creating a cool, vibrant and summery room in no time! Touches of accenting colors bring the space together for the perfect touch of summer. Remember, don’t be afraid to mix and match; after all, that is what summer décor is all about! 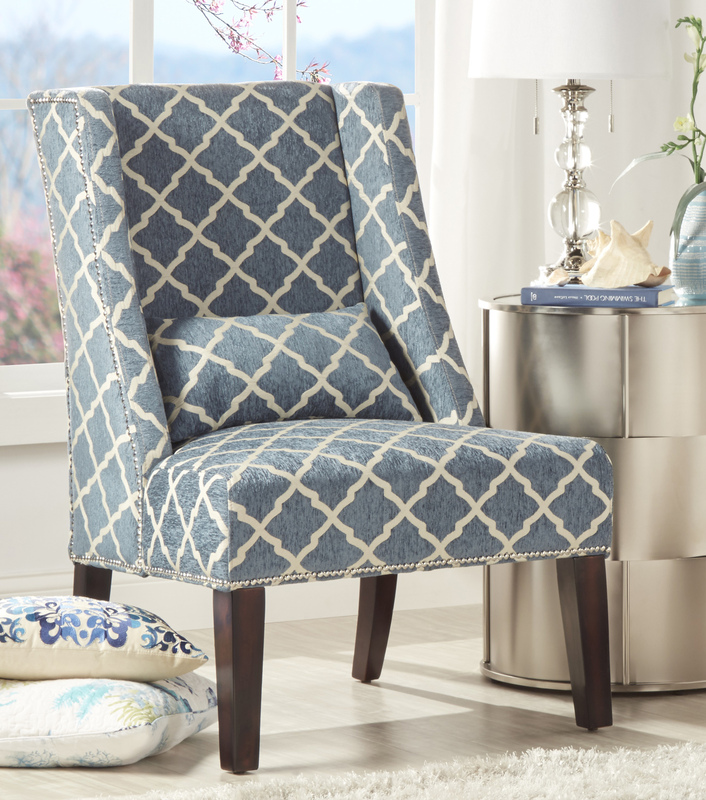 The Washington Nailhead Accent Chair might just be our most-loved accent seating piece, and for good reason! 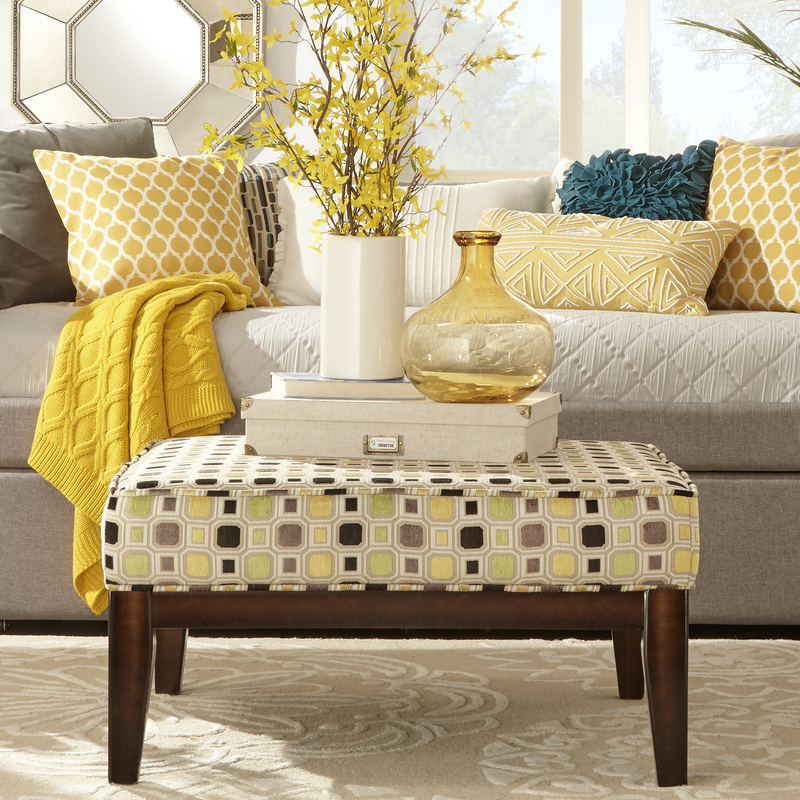 The neutral upholstery is perfect for any home, and especially if you happen to be afflicted with a case of “design ADD.” Changing up the feeling of your space is as easy as adding a seasonally-inspired pillow or throw. Try pairing this simple piece with a brightly colored rug; the texture this adds to your space will simply amaze! This summer, we’re loving bold colors like red, orange, or teal as a fun accent. Red is the boldest value on the color wheel, and when added to any collection of décor can always stand its own. All of us here at Inspire Q a) completely love the Kenton Campaign Accent Table (You can really put it anywhere!) and b) know exactly how to dress this handsome little piece to make it the ultimate summer accent! There are two types of summer décor themes – the calm, soothing theme that keep you refreshed and relaxed, and the bright, bold themes that mirror the invigoration we feel with the season. While we adore both, this piece is for exemplifies the bright and bold. If you aren’t afraid of the pretty pop of red, we suggest pairing this piece with neutral colors such as white, grey or beige, to keep your space from being overwhelming. To add texture and accents to your room, a colorful rug with small hints of red would be perfect! If you are at the top of the bold-color-loving list, a bouquet of flowers or a yellow finish picture frame would complete the look of your summer infused room. The best part about this accent table – all of the small accents from seasons past can easily be tucked away in the storage drawer until it’s time for fall and winter again. Texture and shades of color bring this room to its full summer potential. Although yellow is an obvious choice for a summer themed room, it is not always that easy to decorate with! We’ve tempered all the shades of yellow with a pop of teal tucked in back to balance all the brightness. You may not notice it at first, but can you imagine how different this room would look without it? That would be a lot of yellow, don’t you think? Simply adding a touch of your favorite color into the mix of things can change the ambience of the entire room. Yellow decor punches up a room and signals playfulness and excitement! While it can be bold and noticeable, it is still simple enough to fit in with any decor, whether you embrace modern or traditional design. Let all of your summer daydreams reflect this incredible room: sunny and yellow! We are taken by this room’s vibrant retro vibe and floored by how perfectly everything in this picture came together. Don’t you just love the way the soft aqua of the Lynale Desk accents to the bold chartreuse chair? We feel it creates a summer-time feeling that you just can’t get anywhere else! The touch of orange on the bed sheets and soft-white curtains compliment the room’s theme, giving it an inviting and welcoming feel. 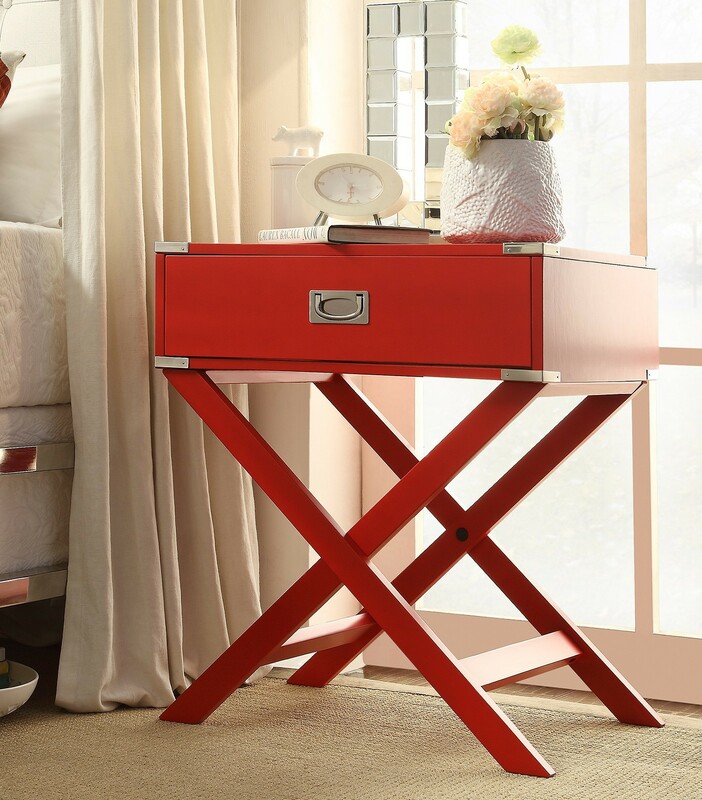 If you loved the look of our red Kenton Campaign Accent Table (Picture # 3), but were a little nervous about the color, have no fear! 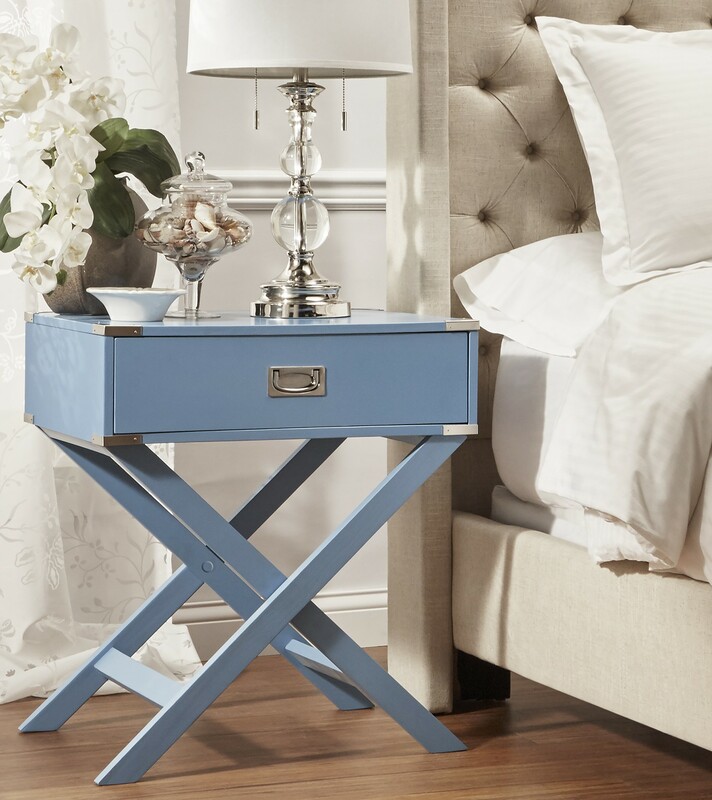 This pretty little piece comes in a variety of colors, including this soothing sky blue that is perfect for the more moderate color lover. We recommend adding a few shades of blue for a look that promotes relaxation but is still pleasing and complex to the eye. Summer is fun and full of bold, striking colors, but you can’t forget about the cool summer breeze and calm peaceful nights, which is what we have designed this room to be a reflection of. Pairing this table with a linen tufted bed and neutral area rug can give your room more texture, which instantly enhances your room’s appearance. This summer time pick sits well with us (no pun intended) because it is the perfect neutral for some pattern play! We understand the term overkill, and we understand it well, but this simple and elegant chair looks great virtually anywhere! Placed at the ends of your dining table, or simply in a reading nook, this eye catching chair will make your home look cozy rather than crazy. We’ve said it before and we will say it again, summer is the time for bold colors and designs, so enjoy it while you can! Don’t be intimidated by the intensity of red – there are so many mind blowing ways to use this brave color! We chose to pair this accent table with colors softer colors – grey, white and beige. By adding the brightness of red into the mix, our space gets an energetic punch without overwhelming the area. Too much red can often times look like a kindergartener ran through the home with a paint brush – we definitely don’t recommend that. To personalize this table, add pops of color to it by pairing it with a vase of colorful flowers or a picture frame! Little bursts of color give your room and electric feel without overwhelming your eyes and your guests! Sit back and relax – we know how those summer days can get! Blue has always been a versatile color – it can be used in almost every season and is compatible with nearly any décor! The Dorchester Wingback Chair, with its Peacock Moroccan print, is the perfect addition to any contemporary home during the summer season. 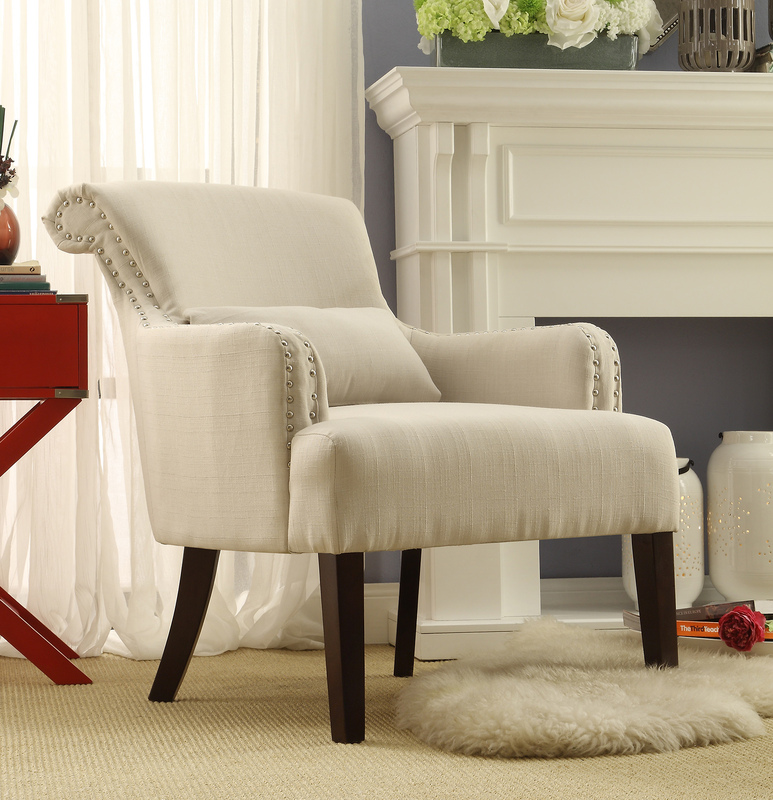 We like to keep this chair simple and pair it with neutral colors because the beauty of it speaks for its self! 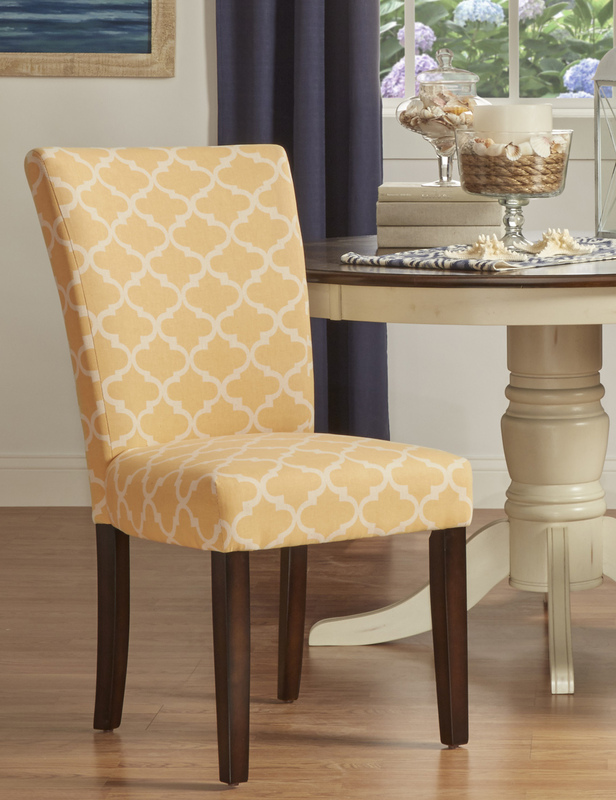 Just as well as this chair is paired with neutral colors, it can be paired with bold colors, too! When we think summer, we can’t help but think of yellow! Your mind instantly goes to bright colors and striking combinations. 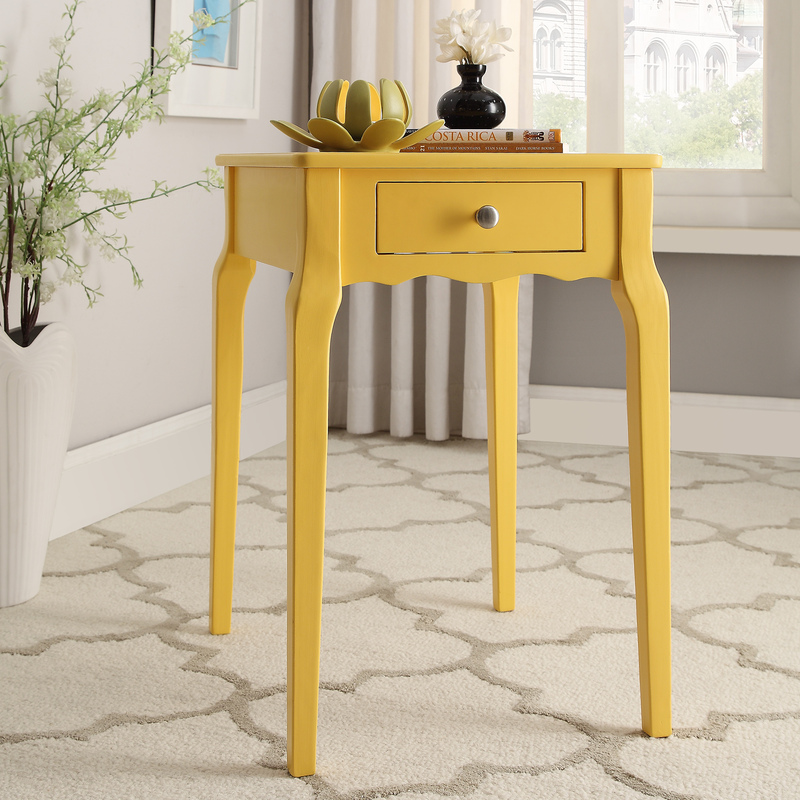 It’s no secret that there is nothing shy about this yellow Daniella Accent Table, so we suggest if you have a neutral colored base to pair this trendy little piece with white or grey picture frames and a pretty rug for a little added texture! For those of you on the more daring side: Use yellow as a part of an unexpected color pairing. Yellow makes a dynamic complement to equally strong colors, as long as both colors are balanced out with a healthy dose of white & neutral based colors. Remember, yellow is an accent color, so pairing it with a vase of your favorite red flowers screams bold, brave summer lover!